Hoopologie is the leading supplier of hula hoop tubing and accessories. Fearful they were missing out on critical business on Amazon, they used Amazon Sales Channel in Magento to seamlessly integrate with and sell on the world's largest online marketplace. The hula hoop brand needed to spin up new sales. It was on the front porch of her family’s home in Eugene, Oregon, that Melinda Rider made her first hula hoop. It was 1999, and Rider’s father owned a company that manufactured colorful electrical tape. “My Dad and I made our first hoops together with irrigation pipe, colored electrical tape, and prismatic deco tape,” recalled Rider. “We’ve had hula hoops in our lives ever since.” Today Rider runs Hoopologie, the leading supplier of polypro and HDPE-colored hula hoop tubing and hula hoop supplies. The hula hoop craze started in the late 1950s, with sales reaching more than 100 million units. At its peak, manufacturers created more than 50,000 hula hoops per day. 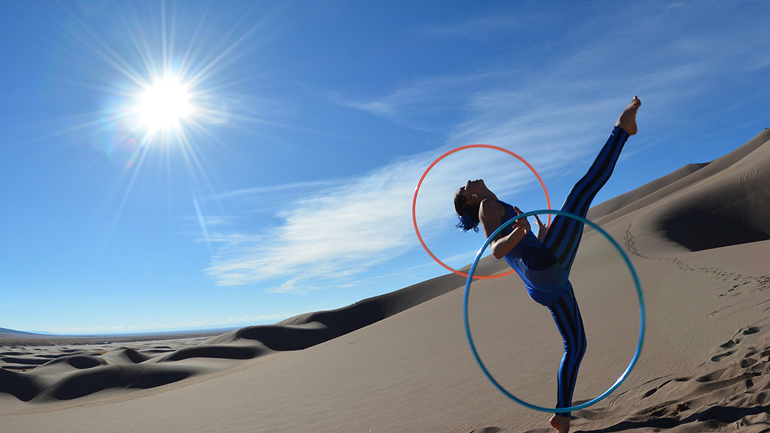 A second hula hoop boom arrived in the 1990s, creating a new market for those who prefer to create their own hoops. Capitalizing on this DIY trend, Hoopologie sells everything a hoop-a-holic could need, and since its inception, the store has been powered by Magento. First, Rider and her five-person team used Magento Commerce 1 to expand their customization options. Working with Magento Professional Solution Partner, Customer Paradigm, they found it easy to scale and integrate with new technologies as they came along. One of the biggest changes to affect Hoopologie was the rise of Amazon. Hoopologie customers bought other products on Amazon, and soon they looked to the eCommerce giant first for their hoop-related supplies. Without a presence on Amazon, Hoopologie feared they were missing out on critical sales. The answer, Rider realized, was to integrate their Magento platform with Amazon. Our experience with Magento has had a positive impact on our business. We attribute our success to selecting Magento as our eCommerce platform, and learning how to leverage all of its capabilities, including Amazon Sales Channel. A direct integration with Amazon Sales Channel. Magento extensions had already vastly improved the Hoopologie customer experience. By adding the Social Media Login extension, Hoopologie customers can now sign in using their Facebook account, instead of being forced to create another account login. Meanwhile, the Rewards Point Extension incentivizes repeat purchases by building a strong loyalty program, and offers discounts when a user redeems their points. And OnePage Checkout has streamlined the checkout process, increasing the overall conversion rate and ease of use for customers. When it was time to expand into the Amazon Sales Channel, Hoopologie didn’t need to migrate to a new platform: Magento Commerce had everything they needed. The platform allowed Hoopologie to directly and cost-effectively manage their inventory on Amazon, offering powerful listing tools to manage distribution and boost visibility, while delivering detailed competitor reporting. 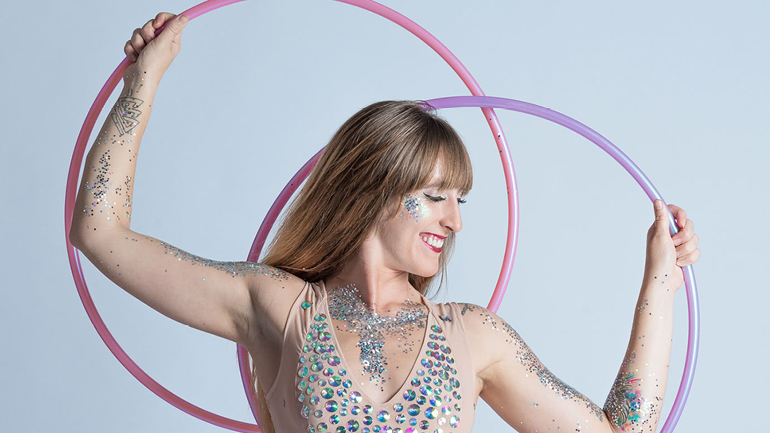 To keep Hoopologie competitive in a crowded marketplace, the platform also includes automated intelligent repricing, keeping products like the Pixie Purple Dance Hula Hoop at the most competitive price. With Magento and the Amazon Sales Channel, Hoopologie can quickly and seamlessly sell their hula hoop products through the Amazon Marketplace, and leverage Amazon’s extensive catalog data to deliver a dynamic product page. Those intelligent repricing rules also increase the chances of Hoopologie products landing in the coveted “Amazon Buy Box” position. Now the brand can manage other product values including Amazon ‘floor price’ and special pricing within their Magento catalog, without having to rely on multiple product sheets. They can also automatically match products and list them across multiple regions, to take advantage of centralized order management to synchronize order status, tracking information, customer data, and cancellations. After implementing Magento Commerce 2 and Amazon Sales Channel, Hoopologie has increased customer lifetime value by an impressive 20 percent. Their hula hoop-loving customers are now finding the products they want faster and easier, and they’re coming back for more. In fact, Hoopologie’s average order value has also increased by 20 percent, while the brand’s overall business has grown 30 percent.